The land was silent as if it had deceased over the darkness of the night. Bare limbs of trees stretched out into the sky, attempting to grasp the final rays of light before the colder months stripped them bare. Shadows casted down upon the forest floor, their narrow outlines providing no shelter for the coal black creature stalking through the lands. Each movement of the onyx hued wolf was fluent, silent, like a predator. The further the creature moved into the woods the darker the shadow's became, their tendrils reaching up for her pelt, attempting to touch her, caress her. Tilting her cranium to the side, the wolf's golden orbs caught the fragmented light, alighting the melting golden pools. A smile curved upon the wolf's narrow snout as she brought her cranium back to a regular position. The perfect place to hide, to slaughter an unsuspecting victim, a voice whispered in her ear. An image of pooling blood flashed across the femme's vision and an inward throaty laugh shook her frame. This land would to nicely for a creature of darkness. Ross was resting inside the cave, waiting for Zanna when an unfamiliar scent wafted passed his nostrils. The large brute rose to his paws and a deep growl rumbled in his throat. "Who goes there?" His bark thundered in the cave, his red and green eyes seemed to glow in the darkness of the cavern. He was nothing more than a black shadow from where he was standing at the moment. Taking a deep breath, the graying male stepped out of the shadows, peering outside of the cave. It definitely wasn't Zanna, he would have recognized her by now. Ross followed the scent until he was in a small clearing, shrouded with mist and surrounded with dark, menacing trees. His pelt pricked with unease, but he forced his fur to lie flat. He couldn't let himself seem weak to whatever was lurking nearby. Prowling through the darkness, the darkened heart was touched by the chilling air that settled. Soft winds brushed through the forest, causing the trees to creek and branches to sway manipulating the casted shadows. Solitude played her tricks upon the mere mind. Paranoia was the term to describe it, but it was the instinct that triggered it. The unconscious knowing of the terrain that stretched for miles was a gift, nothing to be feared of. Fear was for the weak, those who could not cope. In her sights, fear was represented with night. The pups that would awake crying about a nightmare only to awake to another. Emotions were nothing more than a weight. All she required was anger, the true source of power, of strength. Upon the breeze the pungent scent of another wolf laced itself into her nose. Whipping around, the onyx wolf faced the direction of the blowing breeze. A lost wanderer, what better meal so late in the day, the voice hissed, if it does not know of your presence yet, its throat deserves to be yours. "Of course," the demoness spoke, her voice sickening sweet. Padding after the scent, the onyx wolf's jaws parted. Saliva slid down from the alabaster fangs that curved like a gleaming dagger. Tilting her cranium to the side, the jaws remained parted, poised, ready to attack as she located her victim. It was a brute, standing alone in a clearing, staring out blindly for his attacker. Slowly, her pink tongue ran along her upper jaws. Such fine prize that pelt, that postured brute, the voice hissed, oh the fun we can have. Grinning wickedly, Fiacre silently agreed with the voice as she stared through the mists and at the muscular brute. A twig snapped. Ross' head snapped in the direction of Fiacre. He knew something was there, but he couldn't see what it was through the fog that seemed to be thickening. Ross began backing up slowly, hackles raised and he whipped his head around, searching for the source of the sound and scent. His breath was beginning to sound loud as he panted. It seemed as if the mist were choking him and the leafless branches of some nearby trees were trying to grab at him. Clearing his throat, he let out several loud barks. The large gray male's confusion was causing himself to create fear. He hated looking weak. "Show yourself!" He snarled, continuing to run around in pursuit of the particular scent of his target. Tipping her head back, a laugh tore through the body of the onyx hued wolf. She could not resist, the brute was on a serving tray for her. The joy of merely observing her flailing brute was enough to quake her from her original path. Lowering her muzzle from the air she watched his flanks rise and fall in a swift rhythm. What if the rising and falling was to stop? To cease in a single strike. The body would look as if etched out of stone upon the cold soil. How long had it been since she last saw a wolf who seemed enranged by her presence. Most had fear glimmering in their eyes and their frames trembled. A pair of green eyes appeared before her, looking up at her with pleading. The eyes vanished as Fiacre exhaled, her breath hissing between her jaws. Mercy was not a virtue she believed in, she simply liked to know the names of those who fell at her talons and jaws before she slew them. Taking a few strides forth from the shadows of the tree line. The demoness appeared to be forged from the shadows themselves as she moved through the parting mists, stepping into the view of the pacing brute. "You spoke a demanding calling?" Fiacre asked innocently. To rip your throat from your body, or perhaps your limbs, Fiacre finished in her head. Kill him, the voice hissed, demanding her acknowledgement, her obedience. Oh but she yearned to play with him first, to experiment, to acquire knowledge. Ross whipped around as the ebony fae padded quietly out her hiding place. "Who are you?" He demanded, his eyes glittering. The older male's hackles were raised and his teeth were bared menacingly. His fangs were sharp and tinted with yellow. The brute growled, expecting an answer. His eyes narrowed. It was not the female he feared, nor his own saftey, but the fact that he could already sense an odd manor about her. He held his head high and in dominance as his eyes sparked with interest. What was it about this female that rubbed his fur the wrong way? Her eyes seemed to shine with malice. He was glad he was fairly good at hiding his emotions, because her personality is what seemed to frighten him. Ross snarled. "Well? Quit stalling!" He snapped at the female angrily. The demoness heard the brute's sharp, haste words but she did not reply. Like a statue, she stood, her gaze lingering on the brute's well built frame. She watched him bare his teeth toward her, his fur bristle, his height grow as he displayed dominance but none of his actions provoked her. The whisper had been subdued to a mere muttering that hissed frantically in her ear. The voice was pleased, she should be pleased and yet something seemed off about this brute. Inhaling the air, she broke apart the scents finding a scent of a fae laced into his own. A partner that would miss him, a pack mate that would mourn him? Fiacre's frame trembled, but not from fear. She was standing before a wretched pack wolf. Barely hearing the brute's second order, Fiacre shook her head allowing the laugh to break lose. This was an interesting day indeed, the fates had played their cards right for her. "I go by the spoken calling of Fiacre," she replied abruptly cutting off her laugh as she lifted her head to meet the gleaming eyes of the brute. "Does a wandering stranger get to know the calling of a demanding alpha?" She asked as she drew closer. A smile etched on her face as she looked up at the brute. "Let me know the name of my caller, let me seek comfort in a stranger," she whispered, her voice sweet upon the breeze. Let me seek blood, the feeling of your fur warming with blood. "Ross." He replied gruffly, searching the females gaze. He paced around her, studying her in case she planned to attack, or if she was worthy of joining the pack. Ross could not help but feel poisoned as her sickly sweet words flowed smoothly into his ears. He was disgusted with the way she seemed to be taunting him. His body shifted uneasily, but he held her gaze. "What brings you here, Fiacre?" He hissed out her name, still wary of this shadowy stranger. Fiacre watched the brute move away from her advances. Retreating to pace around her, to assess her. He was set at unease, masking it through movements. She yearned to reach out to him, to brush her fur against his before she sank her teeth into his throat. A false hope, a false comfort, the act of trickery was truly an art. "Ross," she repeated his name slowly, letting it roll off her tongue. "You retreat from me," she commented, turning her golden orbs to him. "Do you fear me?" She asked innocently, her voice dropping an octave as she questioned him. Spinning round, she took a few strides closer, yet again. He was within leaping distance, she could just embrace him now with her talons and faint the canvas beneath them red. "I drew to you because you called, did you not?" She asked, the frozen smile still upon her face as she tilted her head to the side. I merely want to play little wolf, come to me, we can have great fun. Ross immediately halted and stiffed as Fiacre as if he feared her. I do not fear you in general, I fear what you plan on doing." He replied, his eyes narrowed. Unfortunately for Fiacre, Ross could hear in the slightest tone of her voice, she was sending him into false security. He ignored her second question. "So, why don't you tell me why you're really here?" He countered her false words. "What do you want with me?" He snarled, thrusting his muzzle in her face. He had caught on to her deadly game but surely not all of it. Her game was far to cunning, most wolves never expected the grand finally until it was too late and they were a mere corpse sprawled out upon the ground waiting for nature's taking. Her smile spread as the brute turned his muzzle to her, drew closer. In response she tilted her head up, to meet the brute's gaze. An inch was placed between her charcoal nose and the nose of the brute. Her tail slowly swayed, it's tip brushing against the decaying grass as she studied the brute. He was furious with her, but whatever for. She replied with the truth, nothing less, occasionally drop a sentence or two. "I wander the everlasting terrain, surviving like any other soul, the fates lead mine here, surely they must have dragged a puppet to the woods for a reason?" She spoke partially to herself twisting it into a question she did not want answers. Hearing the second question, Fiacre ducked beneath the brutes muzzle and slowly pressed her cheek against the fur of his throat, nuzzling him. There, it's there, the voice whispered excitedly. The veins that lead to your heart, the place mortals claim emotions originate from. Oh but she wanted to play just a bit longer. Ross stiffened as the female known as Fiacre nuzzled him. Taken by surprise, the Johtaja had his guard momentarily dropped. Unfortunately, that probably wasn't his luckiest moment. He breathed in the air, trying to make himself remember why you stayed away from having emotions towards others. 'Remember the promise you made yourself!' His mind screamed at him. Gasping, he backed away quickly, shaking his head, confusion and anger clouding his gaze. 'No matter how much you want it, getting close to others is not an option!' He told himself briskly, staring at Fiacre with confusion still swimming in his eyes. His guard was almost completely down now as he staggered to back to his paws. The abrupt departure of the soft fur from her cheek took Fiacre by surprise. 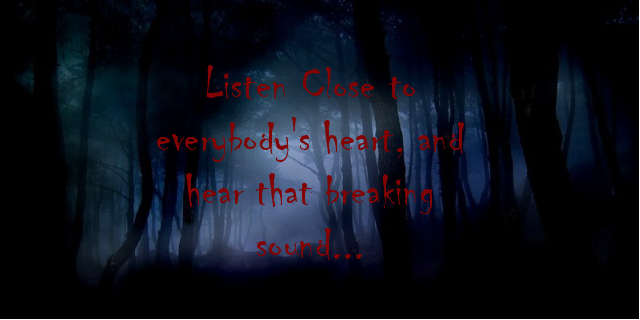 They usually let her come close, let her whisper softly to them as she toyed their heart beats. This brute was different, he rejected her every attempt, saw through her every lie. He ruined her balanced game, changed the rules. She could adapt, waltz around his moves to reach his heart, but how? Should have killed him, the voice chided, an inch away and you back down like the rest seeking comfort. She watched him gasp and shake as if being tortured by his own demons. What was this brute hiding from her? She yearned to draw closer again, to break through his barriers. What was this emotion that festered within her, it clawed at her, arguing with her. Were the fates angry with her now for not fulfilling her original desires, for shifting against them. She felt no fear as she thought back to previous occasions. Would this approach end her violent streak? "Are you well?" Fiacre asked, reciting a phrase she had heard many time over. Was this how they used it? Wretched etiquette would ruin her sooner than the fates. The large male almost hadn't heard her. He was to caught up in his own thoughts. The past would always come to haunt him him, but why? Why couldn't he get over it? It was a ne time thing! But, it was so painful to him... Finally letting her question reach his ears, he cleared his throat. Ross nodded briskly. "Yes, why wouldn't I be?" He replied, but was obviously still off in his own world. Once again, he felt his world collapsing before him as he relived his memory. It would always be fresh in his mind. Snapping out his daze, he returned his thoughtful gaze to Faicre. "do what you will with me, just put my out of my misery." He said, staring aqt her evenly. He stood straight, waiting for her to attack and braced himself. Fiacre waited patiently for the brute to respond, she had an entire lifetime filled with a pattern this would not throw her off track. She stared at him blankly, retreating into her own thoughts as she examined him. He was troubled, in his weakest state, she just had to jump forward like bird leaving the next and plummet down upon him like the infant striking the ground. So simple, so efficient. She knew his name, his appearance, enough that even in his passing she would see those gorgeous eyes staring up at her with despair. The thought pleased her; a single strike and her world would go round once more. Suddenly the brute spoke once more, shattering her from the depths of her foggy mind. Something was preventing her. Each limb had locked itself within her, restricting her movements. Then slowly she moved like a predator prowling toward it's prey, the onyx wolf approached, her limbs relaxed. Dipping her cranium downward, the demoness pressed her crown against the side of his throat. She could not do it, he was giving in to her desires but she could not comply. The deed must be done on my terms, she thought to herself. "I came not to kill you," she lied but her voice rang true. She could not kill him now, it was too simple. "Like a drowning hare you flail, suffocated by the waters of your mind. Give into it, let the waters take you, heal you," she whispered rubbing against his neck. Ross glanced at her in surprise. Once again, he felt his limbs freezing as Fraicre rubbed up against him. He gulped as her soft fur tickled his nose, wanting but not wanting to stir up old memories. He cleared his throat, and yet again, pushed himself away Fraicre. His gaze searched hers fora moment, confusion and renewed curiosity lighting his gaze. "Does it please you to toy with my emotions?" He asked the ebony she-wolf softly, staring at the forest off to his eastern side. He retreated from her side once more, placing fragile space between the two strangers. A flicker of joy spread through the demoness, he was going to make this game interesting for her. He was fighting his demons and she was the key to unleashing them. If only he would let her he would see the joy awaiting him on the other side. To give every moral and belief was a price worth paying, Fiacre never felt more alive in her life. "Emotions are not worth playing with," she spoke flatly, disgusted by even the thought of meddling with what mortals felt. Freedom awaits you m'dear, she thought silently, a fractured moment and you could be free of these burdens, why do you cling to the mental pain when bliss awaits. "What is it that draws you such internal anguish?" Fiacre asked. Clearly it is not my own claws puncturing your skin. The dark grey brute listened to her reply, and then her question. "Nothing that concerns you." He replied flatly, his eyes narrowed to slits. He looked up at the sky. He jumped to his paws immediately. It was the full moon! He had forgotten to head up to the ridge to meet Zanna there! "Oh no!" He yelped, hoping he would make it in time. He then remembered Fiacre was still there. Thinking she would rather die than go and meet Zanna, or travel with him, he just touched his nose to her forehead in an awkward farewell and began racing to the ridge. His reply struck like a whip, burning its pain within her. Whatever happened to those open wolves that were like crows, calling their raspy calls for attention. Parting her jaws, prepared to reply the onyx tinted wolf paused. Ross was not looking towards her but at the moon that rose above them, he seemed captivated by the shine as if it was speaking to him. Fiacre glanced upward, scrutinizing the moon. It looked no different, still a hideous pale disk in the sky that offered almost no light. His abrupt yelp startled her, sending a wave of tension down her spine and body. Looking back at him, she found he had drawn closer and felt the touch of his nose press into her fur sending a wave of warmth and calm. What was this trickery he had learned, it worked so well. Swiveling her ears forward, the demoness watched silently as the brute darted off clearly in a such. He had left…. he had left alive. Fiacre's optics narrowed, how could she have let this mistake continue. All of her control was slashed within a moment. Her victim would not get away just yet, the voice had fallen silent since her failure. It agonized her to be parted so long from her companion. It was holding a grudge, waiting for her to prove herself to it once more. That she would. Streaking after the brute, Fiacre kept a steady pace, enough to leave space between her and the walking corpse. Your games cannot save you from the soul who weaves them. Ross yawbed, returning to the den, his back faced from th way which he came. Moonlight sparked in his eyes as he stared up at the glistening sky. "Maybe this time, it will work out." He murmured, grief, pain, and fear flickering across his gaze. Memories were so painful sometimes. Padding slowly up the slope, the demoness turned her cranium to the land below. The forest seemed to stretch out for eternity, engulfing the earth in a twisted maze of barren branches. The enemy could be easily spotted from this point, giving the pack enough time to pin point a plan off attack, but it hardly seemed like they would worry about it any time soon. Winter was not a time for wars when the risk of falling ill and passing away followed individuals. Shifting her golden optics back to the path ahead of her, the demoness noticed the brute's silhouette against the darkened sky. He was gone, retreating into his own thoughts and worries. Fiacre wanted to ask if he was well but knew it would only bring about the worse. Sighing, she let the brute be alone. Veering away, she climbed the rocks a little higher until she found a flat ledge blanketed in snow. Swiping it aside, she lowered her frame to the cold platform and turned her optics back to the valley. Could she call this home? Ross swiveled his ears as Fiace veered away from him. "You can come sit with me, if you'd like." He offered, tapping aspot next to him with his tail. His crooked jaw gave an odd appearance as he smiled, laying down. Maybe the time to ask was now? No. He needed to speak with Zanna first. Hearing Ross' invitation, Fiacre's auds swiveled forward and she peered down at the brute. Noticing his smile she could not help but smile in return. Leaping down from her ledge, Fiacre's paws lightly struck the compacted rock as she landed a few paces from Ross. Trotting over to the spot he indicated, she lowered herself to the earth, settling next to the brute. "Do not mind if I do," she replied, gently pressing her nose into the fur along his neck. Unable to resist any longer, Fiacre spoke. "You do not have to reply if you do not wish to, but is something haunting you?" A part of her knew he would not reply, just as he had done before, but she could not help but notice something was off in his miss matched orbs. Ross turned his head and buried his snout into her shoulder fur. He swiveled his ears as his friend spoke blinking his multi-colored eyes. 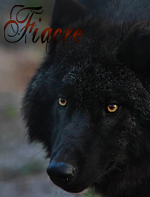 He sighed, warming his muzzle as Fia's fur reflected back the heat. "Yes... but, it's not important." He said airily, allowing her presence to lull him into a sense of security.